Frontline HomeGard Flea Spray 400ml is a household flea spray designed for use in your home and surrounding environments. Frontline HomeGard Household Flea Spray is a Prescription Only Veterinary Medicine and by law requires a prescription from your vet. Frontline HomeGard is a household flea spray designed for use in your home and surrounding environments. It kills adult fleas and larvae in your home and prevents eggs and larvae developing there for approximately 12 months, providing enhanced year-round protection. Using Frontline HomeGard in your home as well as Frontline Plus or Frontline Spot-On on your pets provides an effective, integrated approach to flea control. FRONTLINE HomeGard is an aerosol surface spray for use on carpets, cracks and crevices in flooring, pet bedding and soft upholstered furniture, to eradicate fleas and prevent re-infestation. 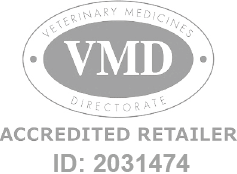 Manufactured by Merial Animal Health. Please read instructions carefully and perform a test patch prior to use. Each can contains 400ml.